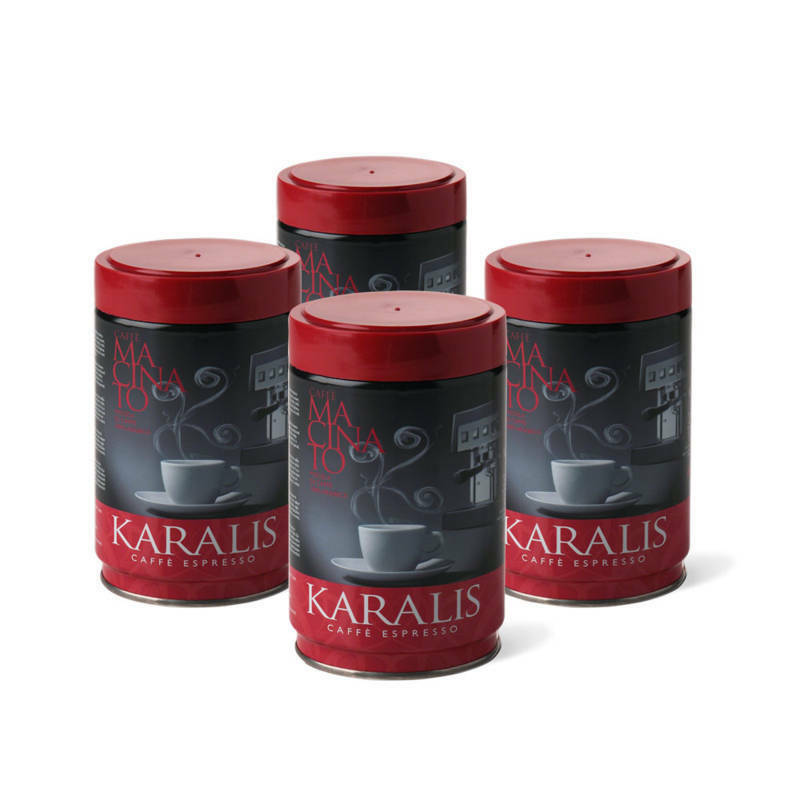 The grains of Karalis Red 100% Arabica (Caffè Karalis Rossa 100% Arabica) are carefully mixed to produce a full body, an intense aroma and a well-defined sweetness. This blend was born in Cagliari from the passion of our blend masters. A high-quality blend of only premium Arabica coffee from Central-South America and Central Africa. An espresso with a soft and irresistible taste, harmoniously combining hints of fresh flowers. A tiny sip is all it takes to appreciate its fullness. 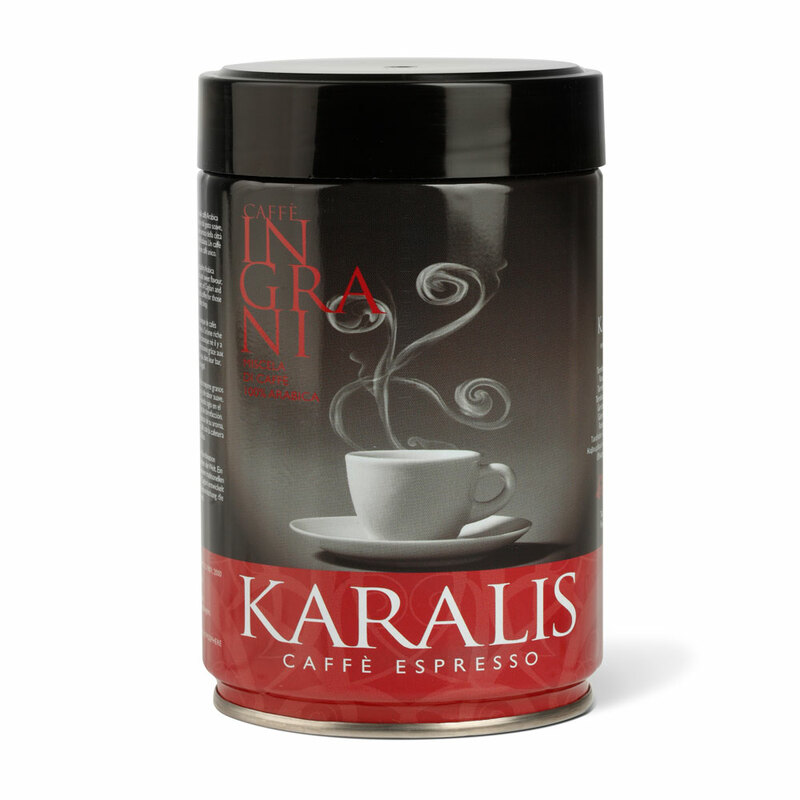 Karalis Red Coffee 100% Arabica is perfect for anyone wishes to savor the highest quality of a unique coffee. The cup is balanced to a fine acidity with vivacious notes of citrus fruits. Our slow toasting and medium body give the blend a rich intense full-bodied floral aroma with a pleasantly persistent aftertaste. It's available in packs of 1000 grams or in 250-gram jars.